If we haven't answered your questions please get in touch with us jobs@xukcamps.com! Which role should I apply for? 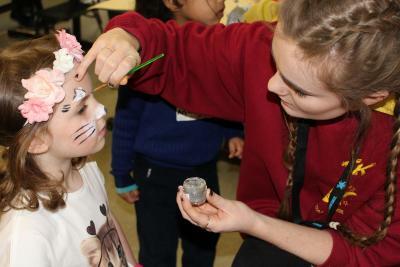 We have lots of different roles at our residential and day camps. Your interests, availability and experiences should influence your decision. You can apply for up to 3 different roles on the application form. Some roles require specific qualifications. Please make sure you have read through the job descriptions. Our camps are all around the UK. You can find out more about each venue by clicking on the links below. I haven't worked with children before, can I apply? Absolutely! We all have to start somewhere… what really matters to us your attitude and ability to work as part of a team! Is a residential job for me? You must think about this carefully before applying, residential jobs are not for everyone! After two days of training, you’ll be thrown in at the deep end when camp begins. The days are long and tiring. The chance of getting any ‘me time’ is very unlikely and you’ll be living out of each other’s pockets! Each week you will have a 24-hour period off. Most of our staff work for 5 or 6 weeks, but if the above hasn’t put you off, and you are available from 7th July for at least 3 weeks, a residential job with us could be for you! We will be taking application forms from late November for our Easter Day Camps and Summer Camps. The earlier you apply and attend an interview, the more positions we are likely to have available. Do you have to be a university student to apply? Definitely not! We have team members from all different backgrounds, some are students, qualified teachers, sports coaches, nurses and parents. We even have staff returning who take annual leave from their full time jobs to return to camp each year because they love it so much! As long as you share the XUK Philosophy, and are 18+, age is nothing but a number at XUK! What happens if I have an event to attend during camp? It is vital that we know the dates that you can work and any events you must attend e.g. weddings and graduations when you apply. Most of the time we can work around this! I'm not available at the start of camp, is this a problem? Afraid so! Over the training weekend, we go through how camp runs, safeguarding training, our policies and procedures and of course set up our camps. It is compulsory that you attend the training weekend and are ready for work for the duration of your contract. Do I have to work for the whole duration of camp? It depends! You will need to be available for a minimum of 3 weeks! Most contracts offered are 5 - 6 weeks and depend on the dates you are available, your skills and the position we think you are most suited to. Do I need to have qualifications to apply? No! A passion to share the XUK Philosophy, a strong team ethic and a can do attitude are the most important qualities you can have, however for some positions, e.g. lifeguards and EFL teachers, qualified staff are required. I'm not from the UK, can I apply? You can but… if you are from outside of the EU, you will need to arrange your own suitable visa prior to application giving you the right to work in the UK. Can I send you my CV instead of filling out the application form? No. Our application forms found on our website and www.tefl.com (for qualified EFL teachers only) are a key element of our safer recruitment policy. I have a criminal record, should I apply? Some convictions will automatically disallow working with children, though not all. We recommend you get in touch to discuss specifics. All successful applicants will need to complete a DBS and/or provide an Overseas Police Check. Our interviews are group interviews so that we can see you working within a team. You will need to attend one of these interview days. Every year we have people attend our interview days from all over the world! We can arrange Skype interviews for English teachers. If you are applying for a senior position such as management we might be able to arrange an alternative date to our group interviews for the right person. I have submitted my application form, what happens next? We will be in touch shortly to let you know whether you have been successful in gaining a place at our interview days. My availability has changed, what should I do? You must let us know immediately. Please email jobs@xukcamps.com as soon as you can! We hold our interviews at: Brookland Infant School, Hill Top, London NW11 6EJ. It is accessible by public transport. CityMapper is a great app to use to help plan your journey! No - unfortunately not. You'll need to finance travel to the interviews yourself. So, please be sure you really want the job before you apply and attend an interview! The interviews last around four hours. This gives you the opportunity to get to know us and we get to know you! We will provide you with XUK t-shirts. These must be worn every day at day camps. If you are working on a residential camp, you will wear your XUK t-shirt on changeover and trip days, and your own sensible and practical clothing the rest of the time. What will we cover at the training? Will XUK provide accommodation and food? If you are working at our day camps, you will need to have your own accommodation and bring a packed lunch each day. Our team members at our residential camps will have onsite accommodation and three meals a day provided for the duration of their contract (even on days off). Is transport provided by XUK? You will need to make your own way to our day camps each day, XUK will not provide this for you. If you are working at one of our residential camps, on the arrival day you can make your own way or hop on our coach departing from North London. Will I have my own room if I work at a residential camp? Our accommodation ranges in shapes and sizes! We have a limited number of individual rooms at some of our camps but most staff will share with other team members - expect to have a dorm buddy! Do you need to know my activity preferences in advance? If you are working at a residential camp, a few weeks before it begins, you will be sent a ‘pre camp questionnaire’. This is where you will let us know useful information such as your T-Shirt size, age preferences, activity preferences and how you will be getting to camp. Do I get any breaks while I'm working? Team members working at our day camps will have a half an hour unpaid lunch break each day. If you are working at our residential camps, you will have a 24 hour period off each week. This depends entirely on your role and where you work. Have a look at our residential and day camp job pages for more information. You will be paid after your contract has finished. The date you will be paid by will be specified in your contract information. What happens if I want to return to work next year, do I need to apply again? If your contract is successful, you will be invited back – no need to apply again!